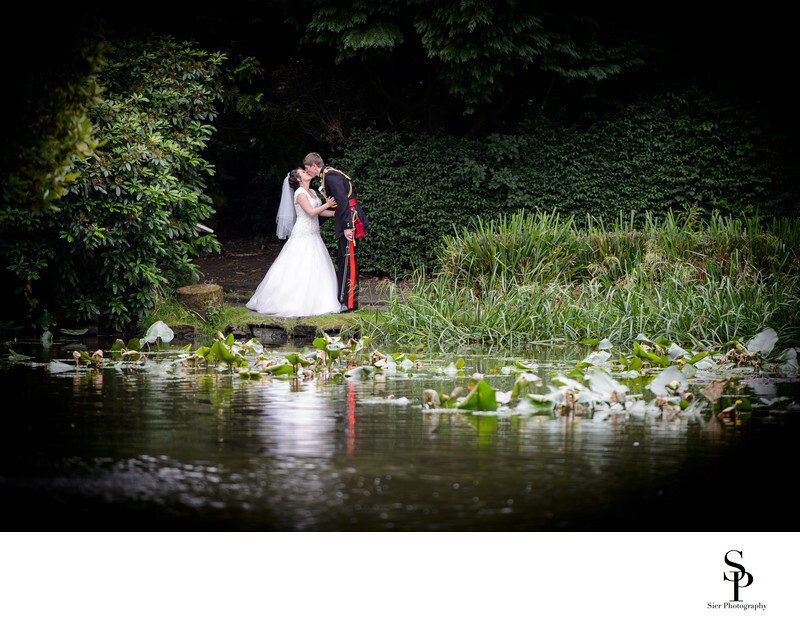 The lake at the Kenwood Hall Hotel is one of the most wonderful features of this Sheffield wedding venue. 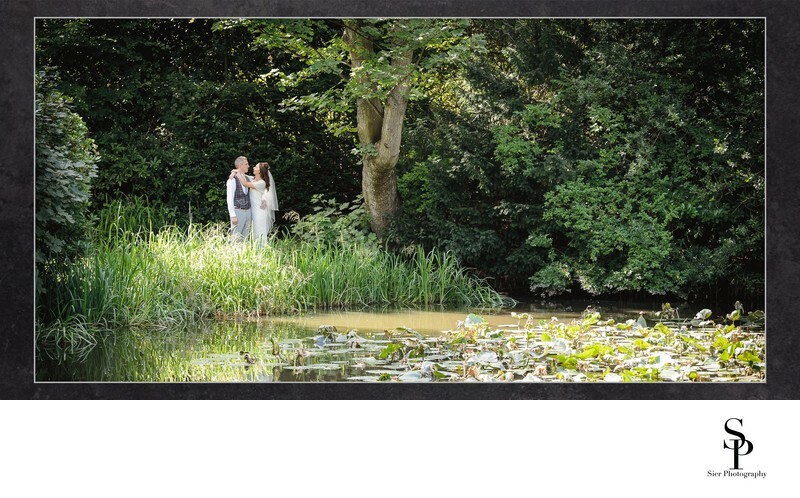 We try to take all our couples down to the lake if the weather and time allow, it makes a beautiful feature to have in any wedding day image and on wonderful warm and sunny day like we have here it is even more stunning. This image is from a wedding album and is a double-page spread as it is the only way to really show off the magnificence of the lake. Our couple share a loving embrace as they chat together following their wedding with no interference from us at all, just the way we like to operate. We always try to put our couples at ease, remain in the background and let their day unfold without interfering in it, it is after all their day and not ours. While we want to be an integral part of your wedding day, be there to capture all the important moments as they unfold, we shouldn't be there interfering in your day, putting our spin on things or imposing our ideas of a wedding day onto yours.